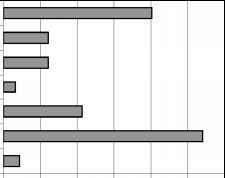 For bioethanol, in figure 13.7 five variants of feed-stocks are shown with results ranging from minus 30 to 110 percent. The worst case is corn. Grain and sugar beet follow. Sugar cane and wood are best suited. The positive results using wood as a feedstock are for the gasification of wood and the transformation of the resulting process gas into ethanol by a Fischer-Tropsch synthesis (2nd generation biofuels - see table 13.5). On average about 60 percent as compared with fossil-fuel generated CO2 emissions would result if bioethanol is applied. 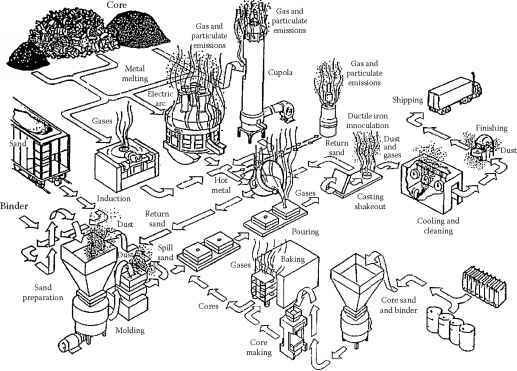 Bioethanol production from corn as a feed-stock is connected with high inputs of agrochemicals and pesticides, but also with high power needs for the production. Wheat and sugar beet are in the medium range. 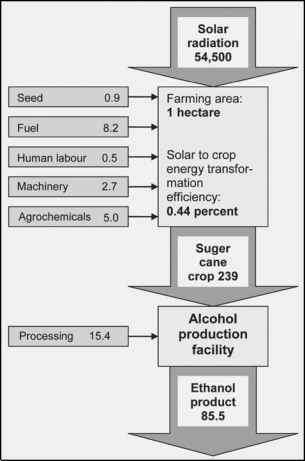 Sugar cane is the basic feed-stock for the Brazilian Proâlcool bioethanol programme. This is due to favourable cultivation conditions which pre-dominate in the Brazilian climate where a large part of solar radiation is transformed into plant biomass and hence into the energy source of bioethanol production. 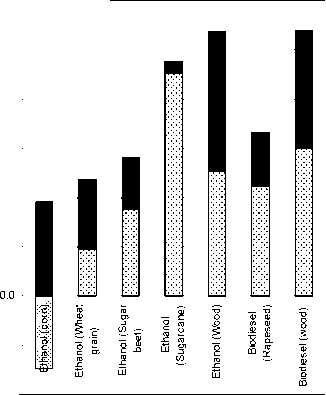 An energy output of bioethanol of about 85.5 GJ/ha from energy input of nearly 32.7 GJ per hectare (see figure 13.8) was reported in 1990. This is an energy input/energy output ratio of 2.6:1. Recently a much better ratio of 8.3 was documented for Brazil (Szwarc, 2004). The LCA after a "well-to-wheel" approach indicates that even the GHG efforts for the long distance transport from South America to Europe do not compensate for the positive effects. A more detailed analysis of the GHG emissions of the bioethanol production from wheat is given in table 13.7. It contains every process step and a range of concrete GHG emission values as well as the key variables which influence the process result. The resulting GHG emissions range from -540 to more than 2,900 kg CO2-eq./t bioethanol produced. Extremes are unlikely but possible. Typical values for bioethanol from wheat under British conditions are given in figure 13.9. 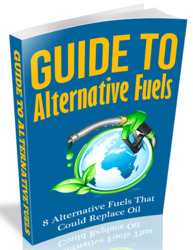 They sum up to about 1.250 kg CO2-eq./t which is about 40 percent the value of gasoline.